[caption id=”attachment_163” align=”alignright” width=”358” caption=”Apple iPad Wi-Fi 16Gb”] [/caption] This device was the first tablet I bought, few days before the launch of iPad 2. I’ve been thinking about it for quite a while and since there was a really low chance of getting an-oh-so-wanted iPad 2 within the first month after Canadian debut I decided to give it a go. Futureshop has a nice two week return policy so it’s always safe to buy there to test things out. I also didn’t really care about the cameras of the new iPad, nor about the 15% weight loss. The total bill came to $643.79 which included the iPad, Apple Case, Screen Protector and HST. Happy owner of the new device walked home not knowing what awaits him. Would you like to restore the iPad from iPhone backup or setup as new iPad? Frankly speaking this was an unexpected question. Usually Apple tries to make any choices easy for the user (a.k.a. Don’t make me think), but this time only Google could solve this mystery. Details aside, appears it is better to set it up as new. Maybe because it *is* new? Apart from that strange question the rest is an easy Apple setup as usual – up and running in no time. Cool, this this thing is really cool! Just a big iPhone? You bet it is. By the way, iPhone starts to feel really tiny after using iPad. Applications that I’ve used mostly included the following: Safari, Mail, iBooks, Skype, Twitter and Facebook. Speaking of the later one, there is no official app yet and the third party ones just style the touch.facebook.com site which makes them quite unpleasant to use. The touch version of facebook deserves a separate post. So far iPhone App looks like the best mobile options, regardless to all its faults. Safari – generally nice feeling of browsing and scrolling with swiping, but switching between the tabs really takes a while. Three or four finger swipe would be a better option. Very nice experience nonetheless. Mail – absolutely unusable in portrait orientation and nice in landscape. [caption id=”attachment_166” align=”alignright” width=”300” caption=”iPad mail app in lanscape and portrait orientation”] [/caption] iBooks – books can be downloaded from one source, you know which. Sure, you can upload PDFs, but you’ll get quite irritated by having to zoom again and again every time you flip the page. 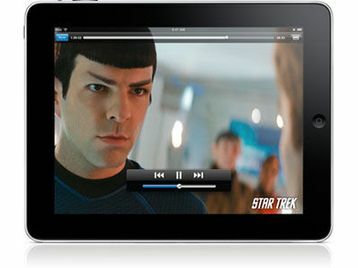 Skype – for the lack of video cameras and native app for the iPad is better off using on the iPhone or laptop. Twitter – now Twitter for iPad is something. It’s better then safari for browsing. Probably one of the best iOS apps I’ve ever seen. Pure pleasure to use. Wi-Fi is great when you have it, but if you are on the go you would really want to have 3G with it. Not every café in Toronto has Wi-Fi. Apple Case is good if you want to rest your iPad on the table but if you want to hand hold it I’d get one where you can easily take it off. Naked iPad feels so much better. If you are looking for this model, I would get it refurbished from Apple for $350+tax here. Surprisingly enough I managed to get a grip on the iPad 2 the day it came out in Canada. Whilst the line in the Eaton Centre Apple store was huge the lineup in the Futureshop was very manageable. 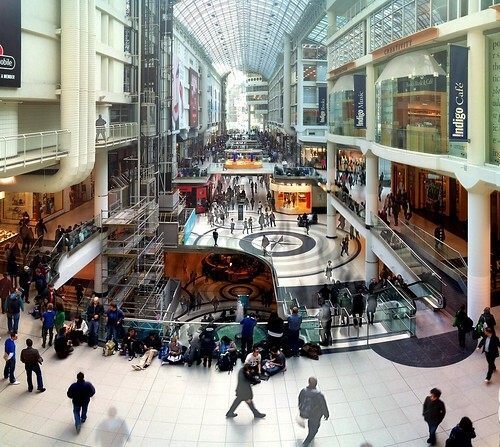 [caption id=”” align=”alignright” width=”300” caption=”The lineup in Eaton centre. Follow the link to Flickr to see where Apple store actually is on this photo”] [/caption] The total for the iPad 2 3G 16gb, Smart Cover, screen protector and taxes was $800.85. iPad 2 is noticeably thinner, lighter and faster if you hold it right next with the original iPad. You don’t really notice these differences right away if you only hold one of the iPads at a time. iPad 2 has two cameras and Smart Cover comes very handy. 3G is definitely a useful feature as well and after a little negotiation with Rogers I was all set. Short answer – no more than original iPad. Longer version – weight, thickness and added cameras don’t shift the iPad into different category, neither does the speed increase. It still does not fit into any of your current pockets. The price tag, however reaches the lower boundary of Macbook Air which is a completely different piece of electronics. My two reasons to get the iPad 2 were cameras and speed. Skyping on iPad appeared to be absolutely unpleasant. I think you are much better off with the iPhone 4 for video chats. The speed increase is definitely noticeable but for the current possible tasks I don’t think it matters that much. Scrolling through a bunch of photos is much faster, but are you usually looking at photos at that speed? Exploration mode for a bit. Formerly Dev. Relations @Lyft, @ParseIt + @Facebook, @meteorjs, @IBMcloudant.